Ultra South Africa Compilation Goes #1 on iTunes for Third Straight Year! 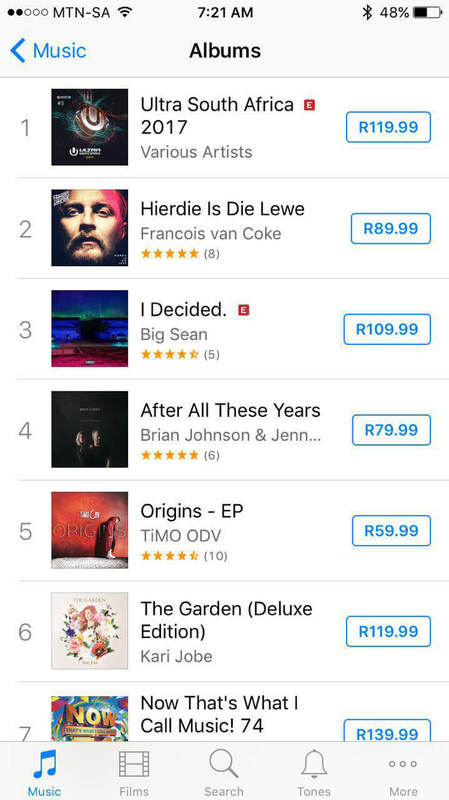 For a third consecutive year, the Ultra South Africa Compilation has gone to #1 on iTunes’ overall and dance charts. The 2017 edition includes music by Hardwell, Martin Garrix, David Guetta, and more! Purchase the Ultra South Africa 2017 Compilation album here, and get your tickets to this year’s event!